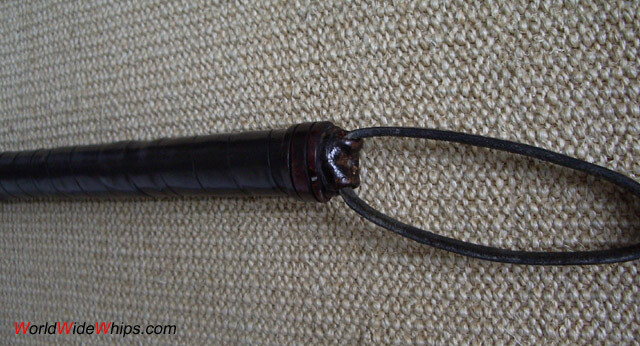 The former owner found this strange whip on a market in Paraguay in 1974. 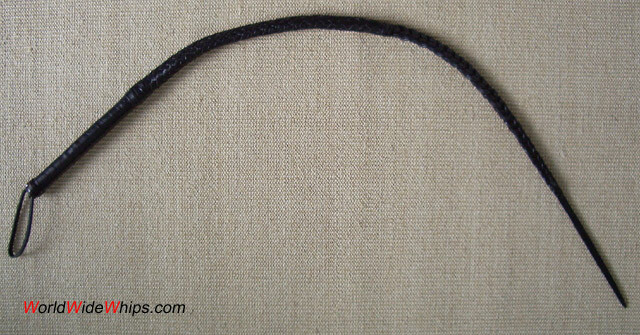 The construction is unique: the end of the thong is slit-braided like a dog whip, followed by a plaited part, fastened to a simple leather-wrapped handle. 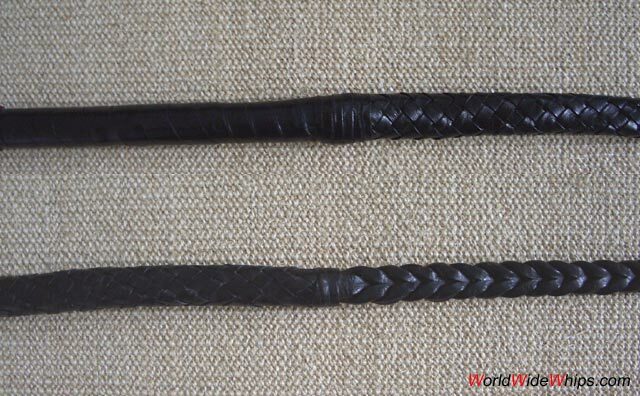 The leather wrist strap is a replacement, originally there may have been a hook like on a dog whip. 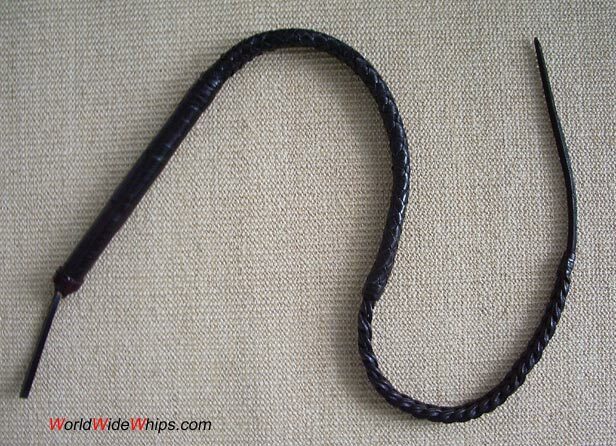 The purpose of this whip is unknown. Length: 1.35m/4.5ft.